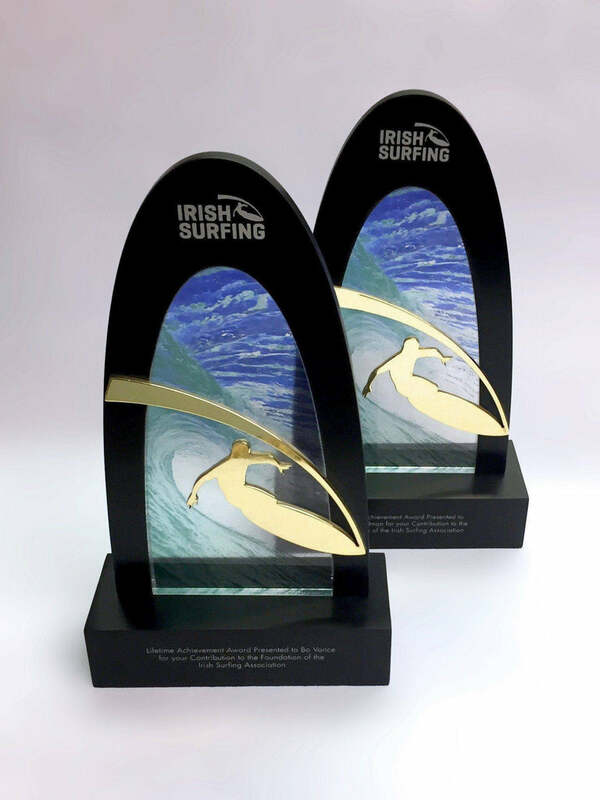 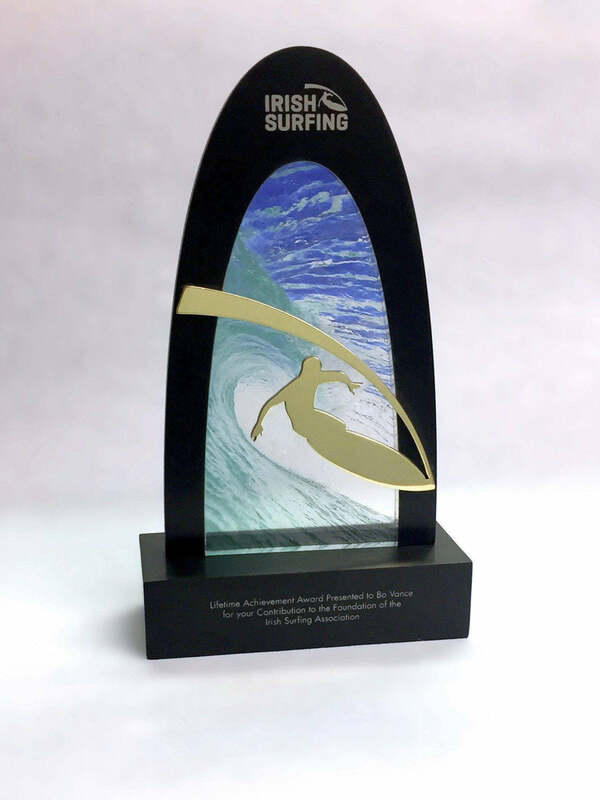 Rounded arches and curved lines represent the beauty of waves and the elegant movements of surfing in this custom award. The black anodised arch is mounted onto the black base framing the bright central graphics whilst drawing attention to the highly polished celebratory gold surfer motive. 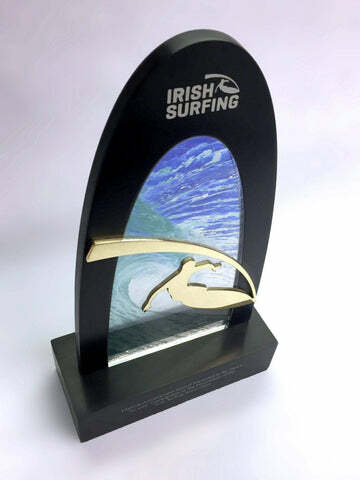 Brand message is highlighted through the engraved logo at the top of the award with the winner’s details engraved on the base.